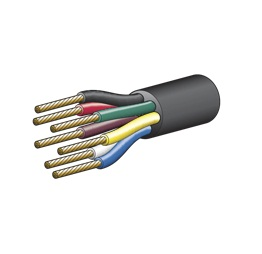 7 core cable is manufactured using oxygen free copper and RoHS compliant polyvinyl-chloride (V90 PVC) insulation in accordance with Australian and New Zealand Standard AS/NZS 3808. All 6mm trailer cable comply with Australian Design Rule ADR 63/00. 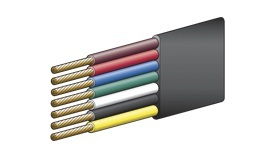 Flat 5 and 7 core trailer cable is also available in the range, popular with newer type vehicles as it shows the cable with the plug attached to be hidden in the boot when not in use and slipped out between the boot rubbers when the trailer connection is required.